Hi guys! One of the questions that I get asked the most when people find out how many nail polishes I have in my collection, is how do I pick one to wear. Most of the times I pick my nail polish using my spreadsheet and a random number generator! You know me... I am not one to stick to the rules of wearing things in the "right" season! 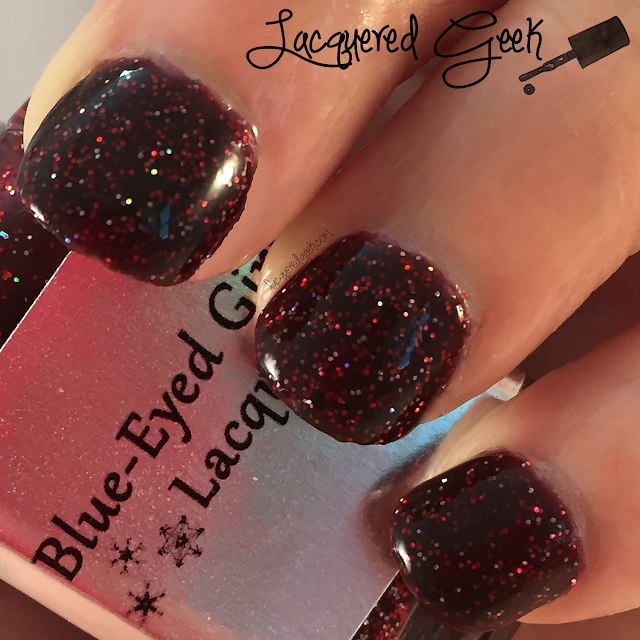 Today I want to share a polish from Blue-Eyed Girl Lacquer's 2013 holiday collection - Newborn Solstice Sun, made to celebrate Yule. 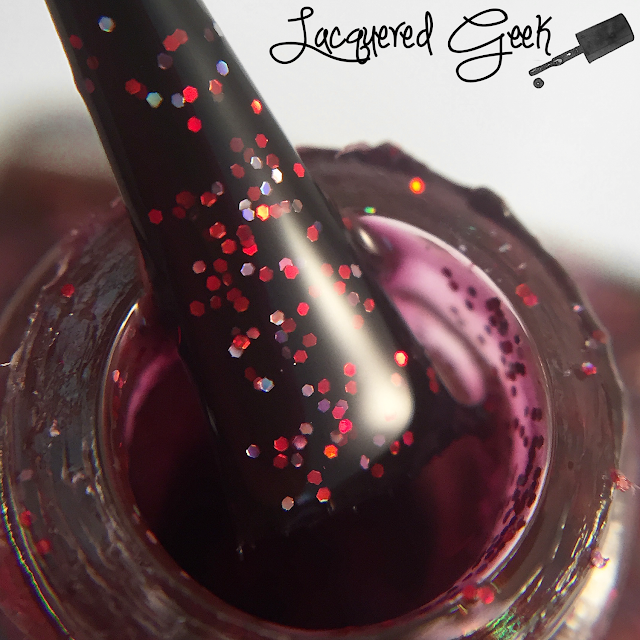 Newborn Solstice Sun is a deep maroon jelly with red and silver holographic microglitters. The formula was great on this. It dried fairly quickly, and a little textured. But one coat of top coat smoothed it out. I used 2 coats of Newborn Solstice Sun and 1 coat of topcoat for these photos. This is so vampy for the fall, don't you think? 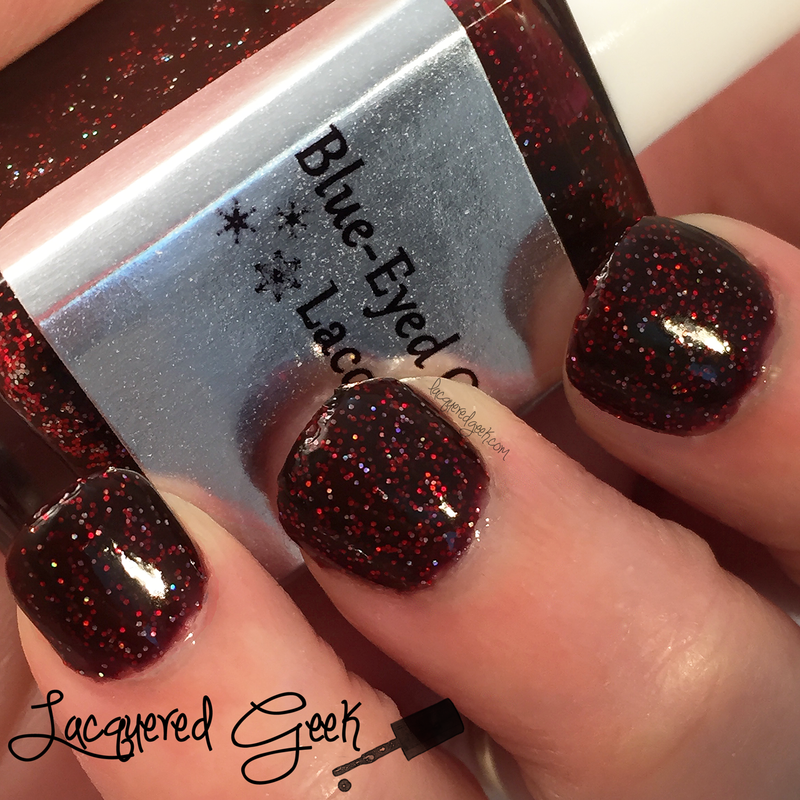 Do you have a favorite polish from Blue-Eyed Girl Lacquer? How do you select which polish you wear? I am so ready for fall. So ready. Such a lush color! Absolutely love this shade. I'm guilty of trying to wear colors by season. But this is stunning any time. Ugh love! What a beauty of a polish! That jelly base is awesome, looks lovely on you!